Hey everyone! We are super excited to announce a tour we're hosting for COCO: MIGUEL AND THE GRAND HARMONY by Matt de la Pena & Ana Ramírez which releases on October 10th! The tour will run for two weeks - from October 2nd-6th & 9th-13th will have one stop per day and will consist of a mix of reviews, interviews, guest posts, and excerpts. 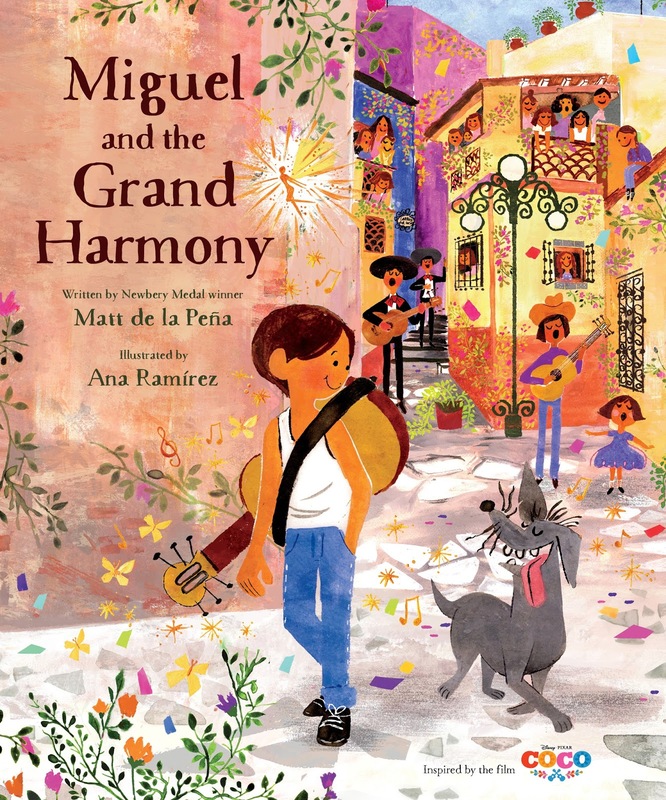 We are totally stoked for the tour for COCO: MIGUEL AND THE GRAND HARMONY this October! We can't wait for everyone to read it! Disney*Pixar's Coco is the celebration of a lifetime, where the discovery of a generations-old mystery leads to a most extraordinary and surprising family reunion. Directed by Lee Unkrich (Toy Story 3) and produced by Darla K. Anderson (Toy Story 3), Disney*Pixar's Coco opens in U.S. theaters November 22, 2017.